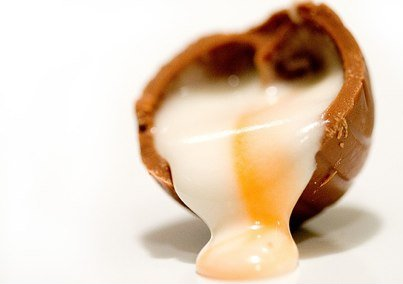 Sweet cream kissed with lite caramel inspired by the gooey middle of the famous chocolate eggs. *Sent as 'Sweet Caramel' 7ml gifts and renamed by customers. It's perfect! Thank you. This is a deliciously creamy treat. I just purchased it for the first time and I really like it. I will be purchasing again. It's lightly sweet and creamy and just tastes lovely. I could vape this all day long as it's not overpowering in anyway. You can enjoy it straight and it even blends nicely so add a drop or two of Irish Cream, strawberry, caramel, or whatever your favorite flavors are to give it a twist. I added a few drops of Irish Cream this evening and it's awesome. Keep this one altcig! It's a winner! Got this in my last order and halfway through the bottle already, its good stuff! Not too vanilla, not too caramel, creamy and sweet but not too sweet... a bit hard to describe other than it's all of that and more; it's just right. Currently my ADV replacing Caramel Love and Bavarian Cream. Lots of vapor too. Another winner for us dessert flavor vapers!